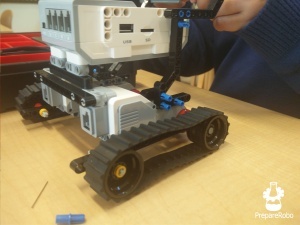 Program&Build Day are workshops on Robotics during which we build and code robots using LEGO® MINDSTORMS® sets and easy to use graphical environment. This workshops will make ICT classes easier for your students. Workshops are suitable for Year 1 up to Year 13. With more than 100 lesson plans we can tailor a Program&Build Day for your specific needs. Computing workshops which are hassle free! Programming for more advanced students can be done with a C like code, however if this is an entry stage of programming we can use drag and drop environment with ready pieces of code, if we have a mixture of experienced and first timers then both types of coding can be introduced. Coding in class using graphical drag and drop environment! 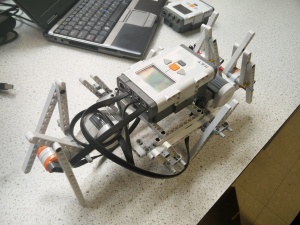 Robots in the classroom are great way to encourage pupils into STEM. Workshops last for 120 minutes. 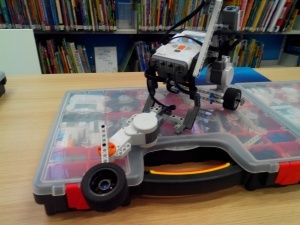 During these classes we build and program in groups of 3. 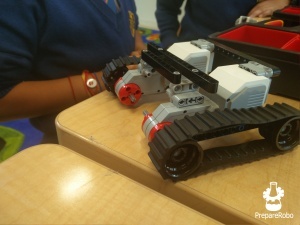 We provide LEGO® MINDSTORMS® Sets, computers, software. All what you need to provide is a classroom with chairs and tables. Price is £7 per student. £6 per pupil if workshops will take place until end of January 2019 and if you subscribe to our newsletter (click HERE to do that) Discount Code: J6SI.